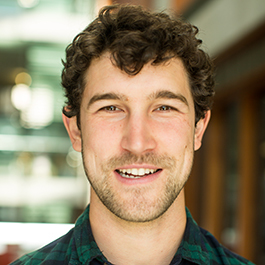 Colin enjoys the process of realizing concepts into physical products but is ultimately motivated by the implications of his work: how products can responsibly improve quality of life, inspire visceral experiences, and provide a platform for connection. Colin believes in using product design to deliver social impact and inspire meaningful experiences. His core strengths include human-product interaction design, ideation, mechanism design, mechatronics, product testing, as well as prototyping and fabrication. Colin chose the EDI program because he was looking for a way to supplement his knowledge of how products are made with the toolset to navigate why they should be made. During a year abroad program in which he studied art history at the Universidad de Complutense in Madrid, Colin gained a greater appreciation for how products and the built environment have an impact on our everyday experiences and our well-being. He assisted in the development of agricultural equipment at the University of California, Davis and tested solar panel mounting hardware for a company called IronRidge. Both of those experiences reinforced Colin’s belief that human-centered design is critical to delivering successful products with positive societal impact.